Kano, Nigeria: Two female suicide bombers blew themselves up in northeast Nigeria, shortly after another bomber killed four at a displaced persons' camp, an emergency services official said on Thursday. 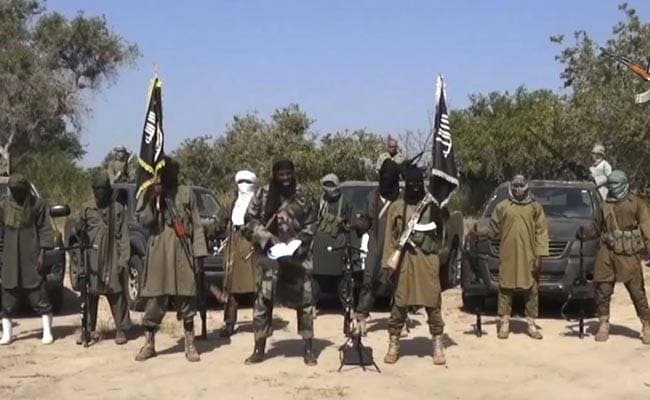 Nigeria's military announced in late 2016 that it had cleared the jihadists' Sambisa Forest stronghold but they are said to have since returned. "The women detonated their explosives, killing themselves, having realised they had been uncovered," he told AFP. Shortly afterwards, a female suicide bomber detonated her explosives outside the camp, killing only herself, said Idris Garga, head of Nigeria's National Emergency Management Agency (NEMA) in the northeast. Satomi told AFP: "The failed suicide attack (at Mandarari) and the one at Dalori IDP camp are clearly the work of Boko Haram. "They are trying to hit back as a result of the pressure the military has exerted on them in the current military operations against them in Sambisa forest. "This is why we emphasised the need for people to be vigilant and keep an eye on strange faces coming into their communities as Boko Haram insurgents are trying to attack civilian targets in response to the losses they suffer in the hands of the military." Nigeria's military and government maintain the Islamic State group affiliate is a spent force but there has been little let up in violence.